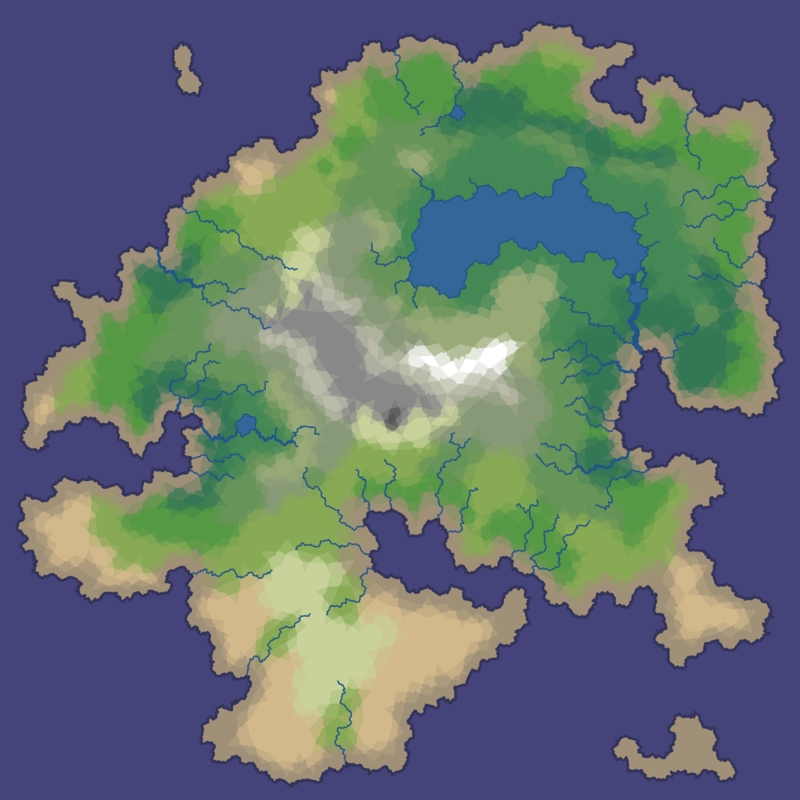 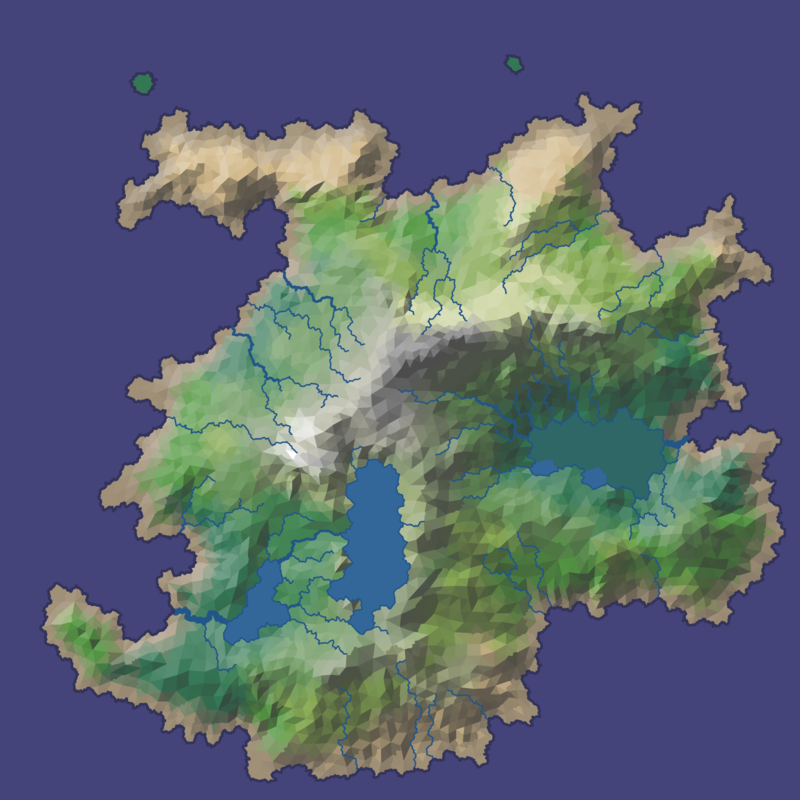 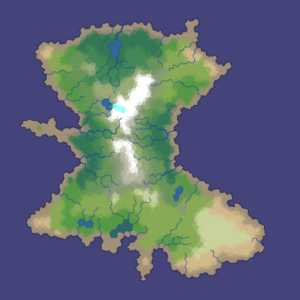 The Polygon Map Generation demo (requires Flash) will generate a random, colored map of an island. You can even save the random seed for re-generation later. It offers several generation methods and a number of different views, including biomes, elevation, moisture, and even a rotating 3D view. 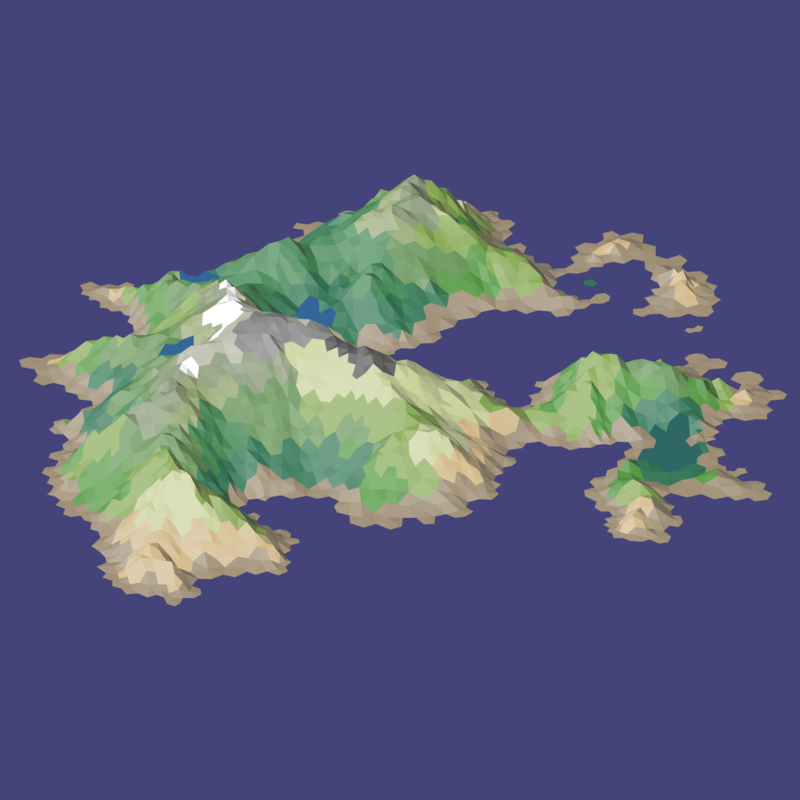 It’ll export a 2,048 x 2,048 PNG file, which is pretty darned big.